Rock Gym Pro offers a six month free trial with the locally hosted installed version with limited features that you can use to test things out. You can use RGP premium features at any time with a Paid Plan (as low as $99/month) and have peace of mind knowing that RGP is there to answer any questions, log in remotely, and help you out with the set up process. Access to the powerful RPG charting module – analyze and grow your business! Automatic daily offsite database backup – your entire database will be transferred offsite securely every night for total peace of mind! Remote digital storage – never lose a waiver again! NOTE: Follow the links for the recommended hardware. RGP has only been tested with the hardware listed. We can only guarantee support for the recommended hardware. If you purchase different hardware, you are on your own! Retail Front Desk PC – At least one. You can have as many as you like. Any reasonably modern and inexpensive desktop computer running Windows (Windows 8 and Windows 10) will work. Minimum of 1280×800 screen resolution recommended - higher is better. You can use touchscreen monitors, though expect to still need a keyboard to enter and find customer’s names quickly. Check In Front Desk PC – Optional. Same specifications as retail front desk computers. This computer is only required if you want to have members be able to walk in and scan cards without staff intervention. If you are planning on checking in members by last name, then a single front desk computer will be sufficient. If you do intend to use a check-in computer, this should be dedicated EXCLUSIVELY to check-in… i.e. do not plan to process retail transactions or membership functions on this computer. Computer Speakers – Optional. If you have a dedicated check-in computer, RGP will make appropriate “alert” sounds depending upon a member’s status. Great for unattended check in! Receipt Printer – Epson TM/T88V recommended. This should be attached to your retail computer. Get one with a USB connection. ONE cash drawer and receipt printer is typically fine for most gyms – even VERY busy facilities. You can run multiple POS workstations all sharing the single cash drawer and receipt printer. To do this just share your receipt printer like any Windows network printer across your LAN and connect to it from your other RGP workstations. Here are some installation tips for installing the printer on Windows. Web Cam for member photos – Logitech Quickcam Recommended. This should be attached to your retail computer. USB connection. The C310 Logitech also works. Note: the C910 did not work with RGP and might be that it is too high a resolution. Cash Drawer w/ matching receipt printer cable – MMF Advantage w/ Epson Cable. You must get the “Printer Interface” and a cable matching the brand of your receipt printer. Get the cable for CASH DRAWER #1. If you get the drawer #2 cable, it will not work! They have different models/inserts available for U.S. and Canadian currency. Do NOTget a serial or USB interface, get the PRINTER INTERFACE. If you are confused, look at the brochure PDF they have listed on the product page listed above to get a sense of the different models. Keyboard emulating USB barcode reader – Honeywell Voyager or Honeywell Fusion Omni-Directional recommended. Optional. Only required if planning on using membership cards to check in your customers. This should be attached to your check-in computer. USB Connection. For high volume front desks (>100 check-ins per day), an omnidirectional barcode scanner is recommended as your customers will not need to orient their card. For the highest end barcode reader, check out the Honeywell MS7580 Genesis Barcode Reader with Multi-interface. This scanner will read both keytags AND mobile phone screens so you can use with the RGPro Connect mobile app (available with the Premium Plan). Optional USB Keyboard emulating Credit Card Reader – POSX Magnetic Reader recommended. USB Connection and keyboard emulating. You need one to swipe credit cards into Rock Gym Pro. If you intend to allow people to use driver’s licenses to check-in, and have a dedicated check-in computer, then you’ll need a second reader as well. Only driver’s licenses with a magnetic strip will work. Curious about EMV/Chip card processing? Read the EMV/chip card FAQ for EMV/chip card support in RPG. Membership Key Tags – PlastekCards, Print Globe, and PermaCard are three vendors – though there are many out there. Shop around for the best quotes. These are optional as you can check in customers by last name. Get these preprinted in bulk (a few thousand at a time). Barcode (code 39) on one side, your logo on the other. Start the barcodes at a predetermined number of your choosing. The barcodes have to start with a Number but may end in a letter, such as 1234RGP. Gift Cards – you can purchase gift cards from any card vendor, including the same one producing your membership key tags. Information on ordering gift cards is available. Optional Document Scanner for Locally Hosted Version - if you intend to scan and digitally store your paper waivers and membership documents, you’ll need a TWAIN compatible scanner. Here are two recommended desktop scanners with two sided scanning, autodocument feeding, and a small footprint. Xerox DocuMate 152 and Fujitsi-6130 . We recommend using a dedicated ADF scanner rather than an all-in-one device. You’ll achieve faster scans, get a smaller footprint, and be able to more easily integrate it into your workflow. Optional Document Scanner for RGP Cloud - If you're using RGP Cloud and need to input paper documents into RGP, you'll need to use a scanner that can output bulk PDFs. We recommend the Fujuitsu ScanSnap ix500. Waiver Stations – If you intend to use the paperless waiver system (highly recommended!) please review the requirements for the digital waiver system. At this time we are strongly recommended using iPads for your electronic waivers. Information on using iPads is available. The PC waiver solution module within RGP will be deprecated eventually, so please use iPads moving forward. Also, the RGP waiver station module will NOT work with the Smartwaiver integration. Optional “Server” PC ($1500-$2000) Although you can maintain your RGP database on any of your front desk computers, except LAPTOP computers are NOT recommended. We recommend a dedicated server to store your RGP database. Any modern Windows PC will work as server, but be sure to have daily backups! We highly recommend RAID 1 (this has two mirrored hard drives). Then if one hard drive fails, it is a non-event and your system keeps running and you simply replace the bad hard drive. You do not need Windows Server operating system. Windows 8 or Windows 10 is fine!! 32 or 64 bit. LAN Network – All your PCs running RGP must be connected on a local area network. The PC server running MySQL Server 5.X must be reachable. MySQL Server 5.0 – 5.5 (FREE) – MySQL Server 5.X should be installed and running on your server PC. This is a free and extremely powerful relational database server. When you install RGP on your server, RGP will provide you the option of downloading and installing MySQL Server automatically. Be sure to enable “root” access from all machines. You’ll need to select a root password. Rock Gym Pro Software on Server (6 month Trial period-) – When you install RGP on your server, use the Configuration Wizard to create your gym’s blank database. The database should only be created on the PC you consider as your server. You’ll need to select an encryption key, and be sure to write it down! 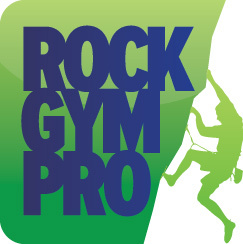 Rock Gym Pro Software on Front Desk computers (FREE) – RGP should be installed on ALL front desk computers. When installing RGP, use the Configuration Wizard to point to your MySQL database running on your Server PC. You can point to it by computer name or IP address, we do recommend a Static IP address for your server. You’ll need to enter the ‘root’ user and password along with your database encryption key. Credit card Reader – POSX Magnetic Reader recommended. USB Connection. IMPORTANT – X-Charge/OpenEdge is required for integrated membership billing. If you do not use XCharge/OpenEdge, you cannot use the integrated membership billing functionality. Curious about EMV/Chip card processing? Read the EMV/chip card FAQ for EMV/chip card support in RPG. You can use any external credit card terminal at POS should you not want to use X-Charge/OpenEdge, but X-Charge/OpenEdge is the only integrated POS processing solution. RGP has integrated ACHWorks for ACH checking account billing. We’ve secured a great rate of $0.49/transaction. That will usually be less expensive than your typical credit card rates. Information about ACHWorks integration is available at the Payment Gateways page in the FAQ. You can download an application on that page. If you contact them, be sure to mention Rock Gym Pro! RGP includes the functionality for online class and course scheduling. An overview of the Booking system is available. Details on the digital waiver system are available online. We highly recommend iPads for the waiver kiosks. RGP can communicate via email to your customers for particular events such as billing declines, product purchases, etc. Details on the transactional email system are available online. Members can change their payment details, freeze/unfreeze, terminate, change address/email etc. It’s up to you, as you can configure the Online Membership Change Form! View details on how to setup the Online Membership Change Form. Setup a daily backup on your server PC (or whichever one has the MySQL database). Here is information on backing up your RGP database. On your retail computer, start the POS and Data Entry modules each day when you open. On your check-in computer, start the Check In module each day when you open. Have a single staff email account (i.e. staff@mygym.com accessible through MS Outlook) where the staff can send managers email and receive updates. Be sure the staff review any new emails each day when they clock-in. We also have a managers@mygym.com email address that goes to all managers and assistant managers. Have all membership signups, punch card signups, freezes, and thaws be backed up by paper forms. We have forms for all those membership events. The customer completes the forms, the staff member enters the data, and then the forms get placed in a manager’s inbox. Once every few days the manager’s review the forms to make sure the staff didn’t make any mistakes. You can download sample membership forms directly: the password to the zip file is ‘rgp’. Install LogMeIn or Google Chrome Remote Desktop (FREE) on your server so you can connect to your server from home and check up on the gym. They are both great services. LogMeIN is more feature rich and costs about $100/year. Both allow you to login to your server from anywhere in the world. Here’s a quick overview of how the front desk “workflow” operates at a typical facility using the Rock Gym Pro software. It is a bit rambling…. but hopefully still helpful. There can be three front desk computers. Two computers are for retail transactions and member management, and one computer is dedicated just to check-in. The check-in computer screen faces the staff, but the barcode scanner faces the customer. Speakers can be connected up to the check-in computer so the staff can hear the audible check-in alerts. The staff member does not interact with the check-in computer unless they need to look up a customer by name. Only one retail computer has a cash drawer. Each retail computer has a receipt printer (though you can share one printer between multiple computers) as well as a POSX credit card reader. With the OpenEdge integrated credit card processing enabled, staff members just swipe cards into RGP. The check-in computer is only running the Check-In application of RGP. Each retail computer is running both the Data Entry and POS applications of RGP, and the staff member switches between the applications as required to complete a transaction. You can switch between applications by using the Windows Task Bar or by pressing ALT-TAB. Both applications remain running all day and the staff members use the Windows task bar to switch between them. When a member walks in, they scan their membership card in the barcode scanner connected to the dedicated check-in computer. If there a no alerts on the member’s account, an audible “click” is heard and the member keeps walking. If there are any alerts or warnings, a “Warning” sound is played which alerts the staff to the member and usually stops the member in their tracks. Some examples of warnings are: past due balance, credit card expired, no waiver, etc. RGP does a fairly thorough job of warning the staff about any issues with the member’s account. The nice thing about having speakers on your check-in computer along with the audible warnings is that your staff members can be alerted to situations even when they are not directly looking at the Check-In computer. New members complete a waiver and a membership form (EFT, Prepaid, Punch Card, etc.). We have specific forms for each type of membership. It's best to encourage specific forms be used for each type of membership transaction – sign up, termination, freezing, and thawing. Ultimately mistakes will happen, and having a paper trail really helps! If you are using a paid plan- you can use the Automatic POS Check-in and Configure feature, as well as creating digital documents for your all of your forms! Once the form is completed, the staff member completes the sale (collecting prepaid funds, prorated dues, etc.). Only the new member’s name is entered into the member’s record at this time. After the sale is completed, the new member is given a pre-printed membership card and the barcode number is entered into the barcode field in the customer record. Additionally, the staff member enters in the required membership information into the customer record (dues, dates, etc.) and captures a photo of the member. Before the new member heads off into the gym, we have them scan their card to confirm that everything looks correct. When there is downtime at the gym, the staff member finishes transcribing the waiver information. All new membership forms are placed in a “to-be-scanned” box. Once they are digitally scanned and stored offsite (optional), the forms are placed in a manager’s inbox, and it is the manager’s job to review all the new membership forms and make sure the critical information was properly entered. If you are on a Paid Plan, either Plus or Premium, you can create digital versions of all your documents and remove the scanning step from the process. Rock Gym Pro supports the following different kinds of memberships. Additionally, either EFT or Prepaid memberships can be assigned to be Early In memberships. Early In members need to check in before a certain time each day or a warning appears on check in. Fixed Monthly Billing Date : All EFT members are billed on a fixed day of the month (the 1st, 10th, etc.) for your gym. This is worth repeating – all members are billed on the same day each month. Each member is assigned a dues amount, and this amount is charged to their account each month. When a member signs up in the middle of the month, a prorated amount (automatically computed in the POS application) can be charged. EFT Freeze : EFT members can be frozen and thawed. When an EFT member freezes, the EFT member is frozen starting on the next billing date. The frozen member is then billed your preassigned Freeze Amount (instead of their normal dues) each month. When an EFT Member thaws their membership, a prorated amount for the remainder of the billing month is automatically added to their account. If you don’t want a prorated amount added, then use the Advanced Status Options. This option will NOT add any fees. Family Membership : EFT memberships can be assigned to be billed to another member. For instance, a husband can bill his membership to his wife’s account. Individual memberships within a family can be frozen, and the other memberships can stay active. But if both parents freeze, then the children should be frozen, as well. Recurring Indefinitely: EFT memberships will be billed each month until terminated. Contract end dates can be assigned, but the memberships will still not be terminated, as EFT memberships are recurring until actually terminated. Contract end dates can be used to remind staff members that a member is unable to terminate until a specific date. If you wish to have an EFT membership terminate at a specific date in the future – assign a TERMINATE status to that member with the appropriate date, via the Status Tab. Prepaid Memberships have fixed start and end dates. Your staff members will sell the membership product in POS, and then assigned fixed start and end dates in the member’s record. The member will automatically be terminated when their end date has passed. Punch cards are very easy to manage in RGP. In many ways, they are treated like normal members – the difference is that each check-in deducts a “punch” from the member’s “punch balance”. The member scans a membership card to check-in just like a normal member. If they scan their card twice in a day, only one punch is deducted. If your gym allows members to share punches on a punch card, then multiple members can be assigned to deduct punches from one member’s punch balance. i.e. a family of 3 would use the Prepaid Month Family (3) if purchasing a one month membership. The (3) serves as a nice reminder. When creating the products, assign a product type of Member to each product. And put the number of members this product is designed for in the Wants Member field. So a Prepaid Month – Family (4) would have “4″ in the Wants Member field indicating that it requires four members to be attached to it. We also recommend assigning a sub-account type of Prepaid to prepaid memberships. EFT membership products are a little trickier. Rock Gym Pro comes with three “built in” EFT products: Monthly Dues, Prorated Dues and Membership Freeze. These are special products – you cannot delete them and you cannot assign a price to them when editing products. The monthly dues and membership freeze products are invoiced to customers as part of the monthly billing. The prorated dues is a product that is sold at POS when a new EFT member signs up. In Data Entry -> Settings, go to the Memberships tab. Here you can manage your list of available EFT dues. This list of dues will be displayed when editing a customer and when selling prorated dues at POS. If your dues are subject to sales tax, DO NOT INCLUDE the sales tax in your dues amount. Read below for configuring your dues to be taxable. If your gym has start up or enrollment fees, you’ll want to create products for these so that you can sell them at POS. So when signing up a new EFT member, your staff member will sell a Prorated Dues and Startup/Enrollment product. Your staff member will then edit the customer record and select the customer’s dues from a list of preestablished dues. For family memberships, you’ll need to distribute the dues across all the family members. For example, $50 for the first member, $40 for the second, and then $10 for each additional child. The primary member will only see one transaction for the month (the sum of all the dues), but each member will have an appropriate invoice added to the account – and a single payment will pay all the invoices. Dues are required on each member since RGP needs to know how much to subtract if an individual member is frozen. SALES TAX: If your monthly dues are subject to sales tax, go to Data Entry -> Manage -> Products and edit the Monthly Dues, Prorated Dues, and Membership Freeze products. Mark each product as taxable. When dues are posted each month, sales tax will be added as a separate line item on the invoice assigned to each customer. Under DATA ENTRY -> MANAGER -> SETTINGS you’ll find a number of settings that should be configured specifically for your gym. Any member can be assigned to be an Early-In member if your gym decides to use this feature. If an early-in member checks in later than a certain time of day, an “Alert” is generated on check-in. This is a great way to increase usage and revenue of your gym during the slower, early times of day. At our gym, we have the cutoff time is 2pm (configurable in Settings). If an early-in member checks in later than 2pm, we allow them to use the gym after paying an $8 Late Fee. BACKUP YOUR DATABASE – DAILY! There are no shortcuts here. It must happen automatically every day. If you have not already configured the daily backups or the process still requires human intervention, stop everything and CONFIGURE YOUR BACKUP NOW. In the last month, two gyms running RGP have had significant data loss because their backups were more than month old. Don’t make the same mistake! With a paid plan your backups are even transferred offsite every night for added peace of mind. Stay current on RGP Updates. You can update your software at any time by going to Data Entry -> Manage -> About -> Update. Remember to click the View Changes, to view the latest updates/feature changes added. I generally update the software every 4-6 weeks and often times they include critical bug fixes in addition to new features. Membership warnings are the enemy! Here are three steps to stay on top of membership warnings. If you have membership warnings, I guarantee you are losing money somewhere. Fix them now! Train your staff to NOT IGNORE warnings when modifying membership records. They should correct the warnings immediately when submitting the customer record, or if they are unable to fix the warning they should notify a manager immediately (via email if necessary). All membership forms and the associated customer records should be reviewed by a manager each night as part of the closing duties. And finally, have a manger periodically go to Data Entry -> View -> Warnings to review and correct any memberships with warnings. Use the Z-Out feature. This is the preferred method for closing out your register and should be very easy for your staff to understand. A z-out video tutorial is available. Scan your membership documents and waivers and have RGP store the digital copies offsite. This is a very easy process to integrate into your workflow with the scanning tools of RGP and my recommended desktop scanners. Why scan your documents? So you can find waivers and membership forms in an INSTANT. No more rummaging through cabinets to find a specific waiver, or the awkward delay when you seek out a membership form to solve a membership problem. And the beautiful thing is that all documents are stored securely offsite with RGP – so you never have to worry about losing your waivers. Watch the scanning video tutorial for more information on how easy it easy to digitally archive all your documents. If you receive more than 100 member check-ins per day, consider investing in a dedicated check in computer with sound speakers. This will dramatically increase your front desk efficiency during the critical after work crunch hours and greatly improves your member satisfaction. With a dedicated check in computer, your members can scan their own cards and all your staff needs to do is listen for the audible alerts. Some gyms think this is “poor customer service”, but I know for a fact that our members prefer this system since they don’t have to wait for a staff member to check them in. Of course our staff members still greet every arriving member, but the members can scan their own card. View the recommended computer configuration for RGP for more details. Offer your customers flexible membership freezes. Membership freezes are a breeze with RGP and you’ll sell and retain more memberships by offering this service. Offer EFT/Billed memberships. There is no setup fee for the integrated OpenEdge credit card processing and monthly billing is as easy and pressing a few buttons. View some sample membership forms (password is ‘rgp’) to get started! Recurring membership revenue is the bread and butter of climbing gyms… so get on the gravy train today! Use the integrated credit card processing for POS transactions. Speed up your front desk AND reduce the frequent errors of keying in transactions into a terminal. There is no setup fee for the integrated OpenEdge credit card processing, and once enabled you can swipe credit cards directly into RGP. Give them a call to get a quote, as they can generally beat your existing rates. Email: support@rockgympro.com and we’ll get you the answers, and/or schedule a RGP software demo.